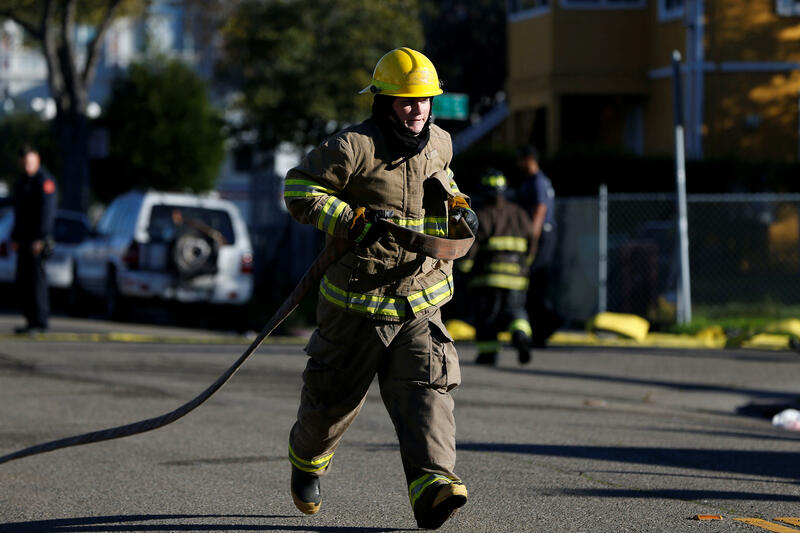 OAKLAND, Calif. -- It will be a slow recovery process and investigation into the deadly Oakland fire that killed at least nine people, city and fire officials said on Saturday. “We know there are bodies in there that we cannot get to,” said Alameda County Sheriff’s office spokesman Ray Kelly. Kelly said that they have located a “couple dozen people” who were believed to be missing, but they still believe there will be about two dozen more victims. “We still have a lot of families who are in that unknown stage,” Kelly said. There are nine confirmed fatalities in the fire, which broke out at a warehouse that was being used as a residential artist colony, but officials said there are “a couple dozen” victims they have to identify. These nine bodies were “easily accessible,” said Kelly. Based on the difficulty to getting inside the building, officials can only identify nine fatalities so far. According to fire officials, the roof collapsed onto the second story, which then collapsed onto the first story. Fire officials said Saturday afternoon that they had to halt the recovery process because parts of the building had been deemed too unsafe, but by 3:30 p.m. PST, the Alameda County Sheriff’s office tweeted it had begun the recovery process again. Recovery operations have started again. “It appears that either you got out or you got trapped inside,” Kelly said. While fire officials continue to search for survivors of a deadly warehouse fire in Oakland, California, family and friends are concerned for a New Jersey man who is among the missing, CBS New York reports. Alex Ghassan recently moved from Jersey City to Oakland, and it is believed he attended a party at the warehouse Friday night before the fire broke out. “I want to send love to his family, from my family to his family. And for them to hopefully get good news and have peace as soon as possible,” his friend Richardine Bartee told CBS2. There were numerous violations against the building, and there were no permits issued for people to live in the building, officials said on Saturday. Fire officials said there were no evidence of sprinklers. Oakland Fire Chief Teresa Deloche-Reed said at least another 25 people were unaccounted for in what authorities were calling the most deadly building fire in the city in recent memory. The victims were believed to be young people in their 20s, Kelly said. He earlier said as many as 40 may have perished and that the coroner was preparing for a “mass casualty event” that could include victims from other countries. The fire caused the building’s roof to collapse and investigators were having trouble entering parts of the warehouse to search for any remaining bodies because the structure was deemed unsafe, Deloche-Reed said.